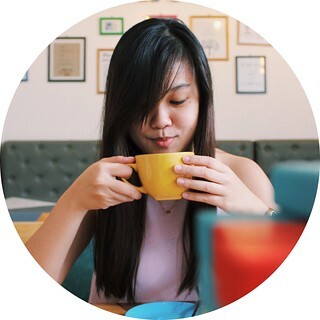 I arrived early for an eat up at Ayala Malls the 30th, but just in time for lunch, so I decided to try a food stall that can only be found at this mall. 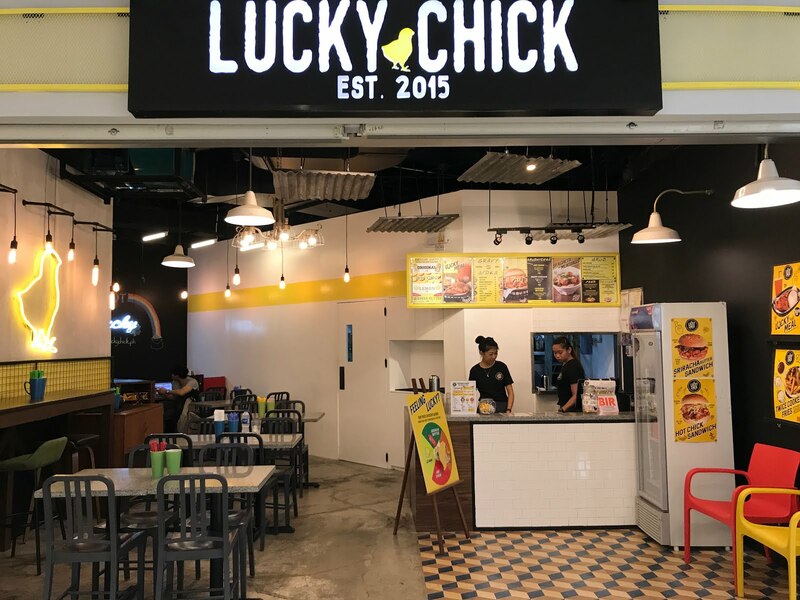 Upon checking the options available, I ended up at Lucky Chick. 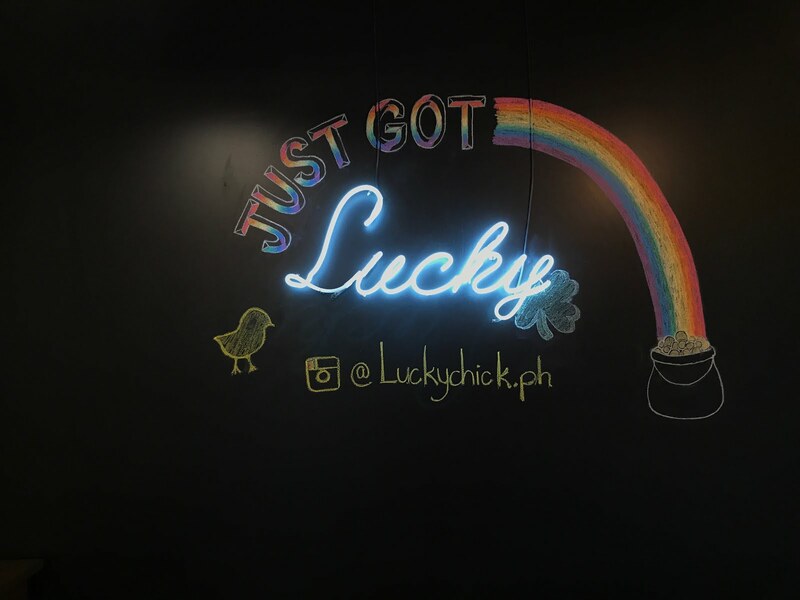 I was excited to try Lucky Chick because there are times that I am a bit obsessed with everything fried chicken, and this was that time. 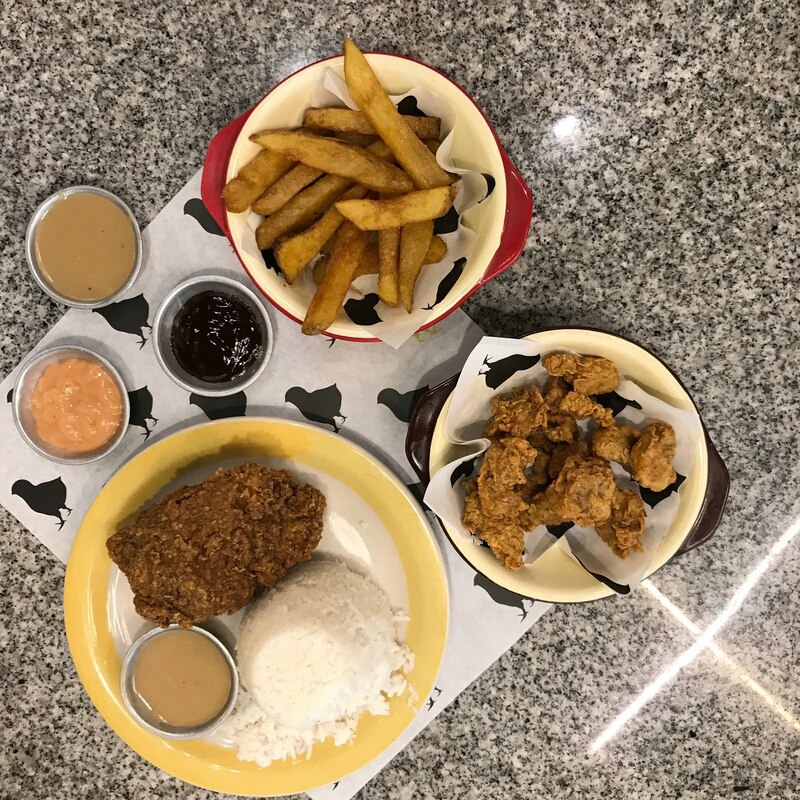 Deciding what to order isn't really a problem, but choosing the flavors kind of is, so for the sake of playing safe, I decided to have an original fried chicken with original gravy, a separate order of rice and fries, and popcorn nuggets. The fried chicken on the menu is served without rice, so you're gonna have to add some cash if you're planning on eating it with some sides. I wasn't too happy about the fried chicken. It was a bit salty for my taste. The taste of kinchay was also the strong element in every bite. The gravy I chose (original) wasn't able to help it appeal better to my tastebuds, either. The fries came with gravy and ketchup mayo dips. 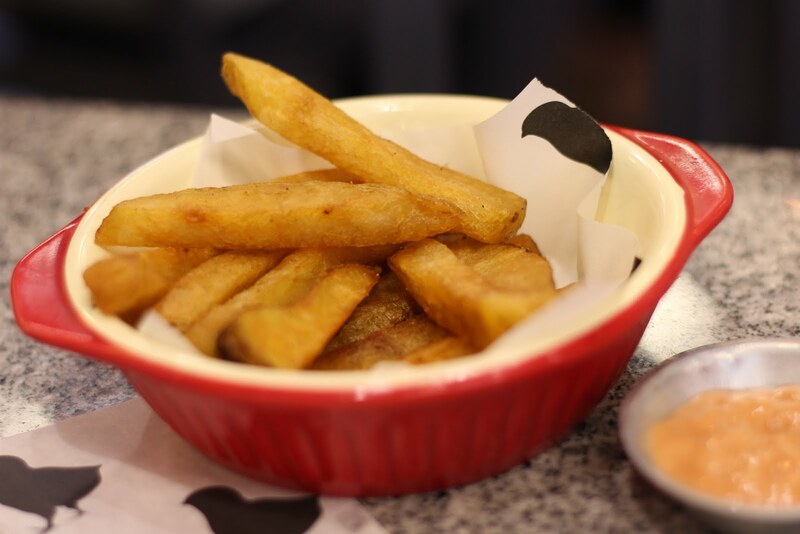 The fries had a thick cut, which is a plus for me, but I found it a bit small for P60. It was great with the ketchup mayo dip rather than the gravy, but it still didn't mask the sogginess of the fries. 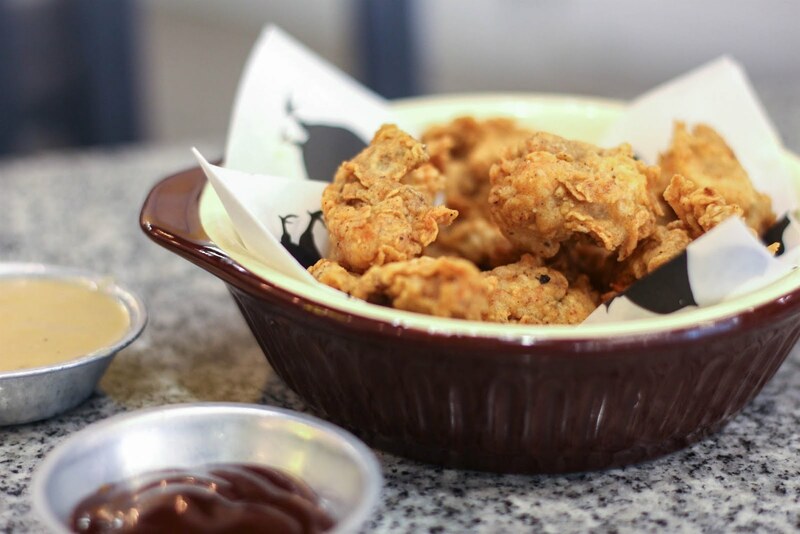 The popcorn nuggets were Lucky Chick's version of chicken nuggets and came with a barbeque dip. 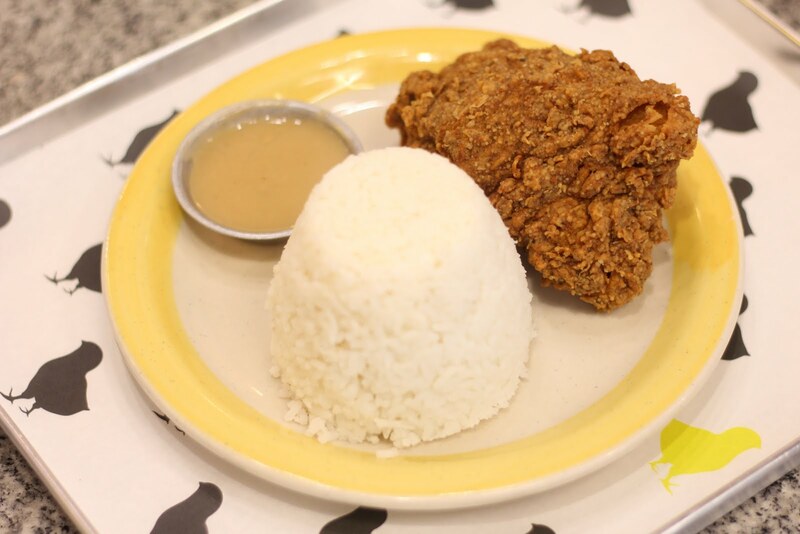 Again, the serving was small for P160, and just like the fried chicken, I found this a bit salty. 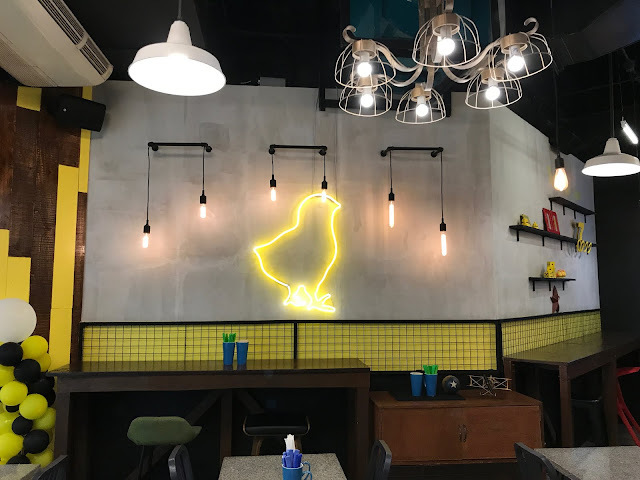 I highly recommend getting some dessert after a meal at Lucky Chick, since everything they serve are really oily and salty that are numbing to the tastebuds. I'm guessing an order of ice cream can help cleanse the palate. It's unfortunate that I didn't get to enjoy the dishes at Lucky Chick as much as I wanted to, but I'm still thinking about what could have been if I had chosen a different flavor for my chicken and gravy. Perhaps the other flavors tasted better.